i’m not really sure i need to say anything else in this blog post. in may, Panda Passage opened at the Calgary Zoo, and i was lucky enough to get a pre-opening meet & greet with the guests of honour. a family of giant pandas: Er Shun, Da Mao and cubs Jia Panpan and Jia Yueyue, are settling into their brand new home at the Calgary Zoo. 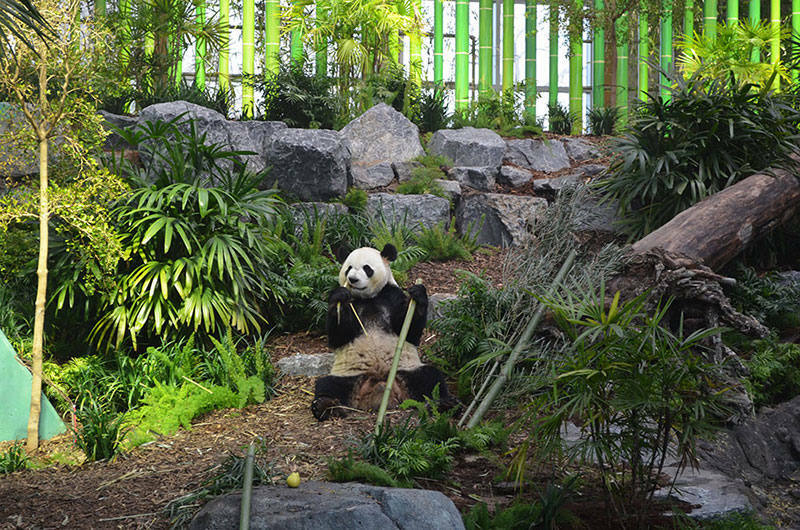 panda passage is a cozy, state of the art habitat built just for pandas. 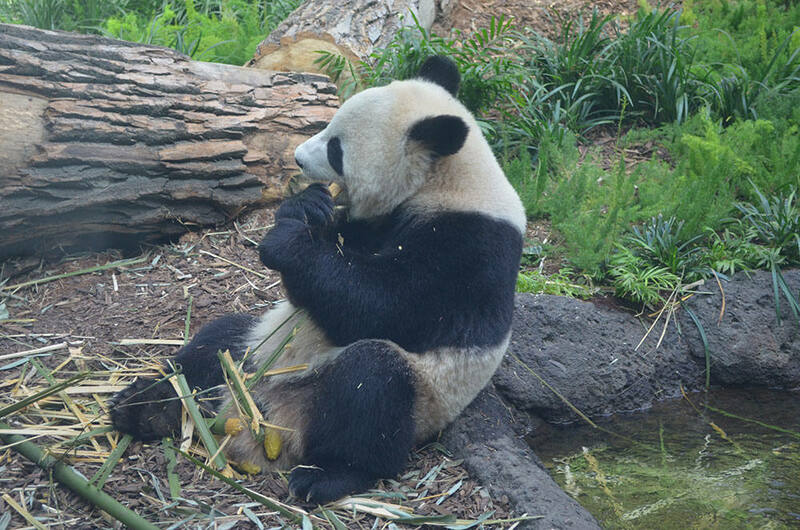 even though their stomachs are designed for meat, pandas are picky eaters and have decided on a diet of primarily bamboo; they eat over 40 kilograms of bamboo every day! 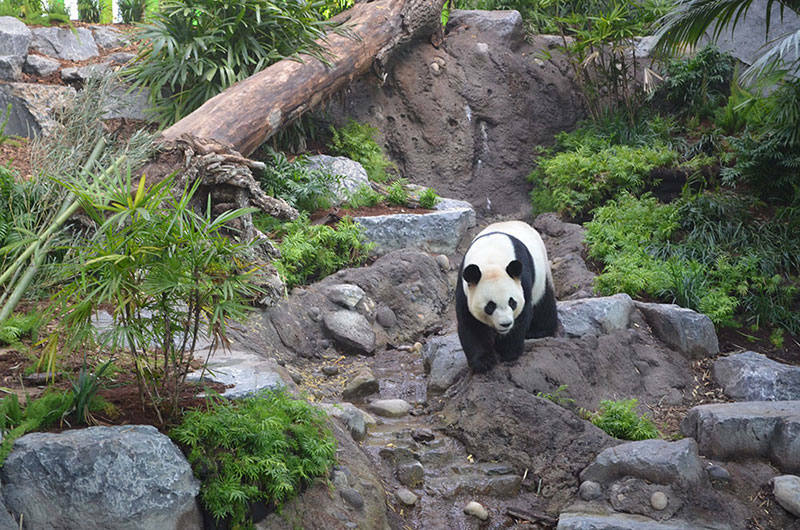 to keep up with this demand, the Calgary Zoo, in partnership with Hainan Airlines, ships in approximately 1,100 kilograms of bamboo twice a week and stores it in a special temperature controlled room. all this eating leads to an active digestive system. pandas can poop up to 40 times a day – sometimes even while they are eating or sleeping. 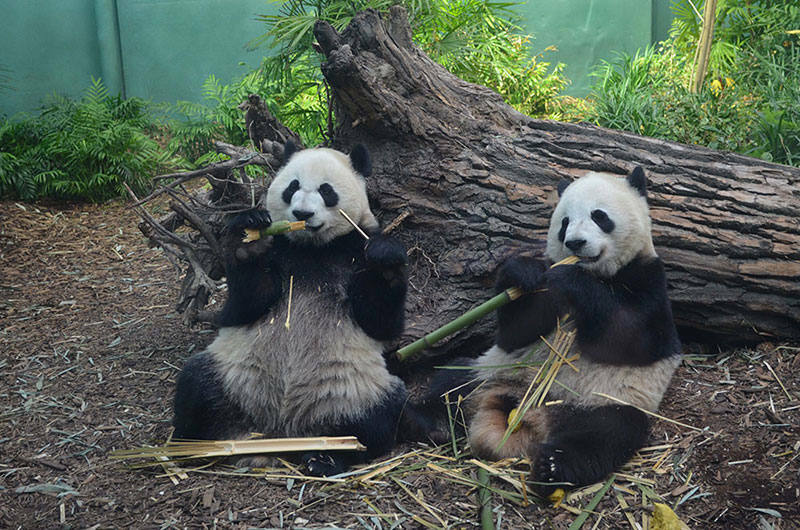 their cuteness is reason enough to see the loveable pandas, but each visit to the Zoo also supports conservation efforts, with funds going towards supporting giant panda research projects. this helps further the conservation and recovery of giant pandas in the wild. the Calgary Zoo is a leader in wildlife conservations here in Canada and around the world. for decades, giant pandas were on the endangered species list, but recently their fortunes have changed for the better thanks to extensive recovery efforts. 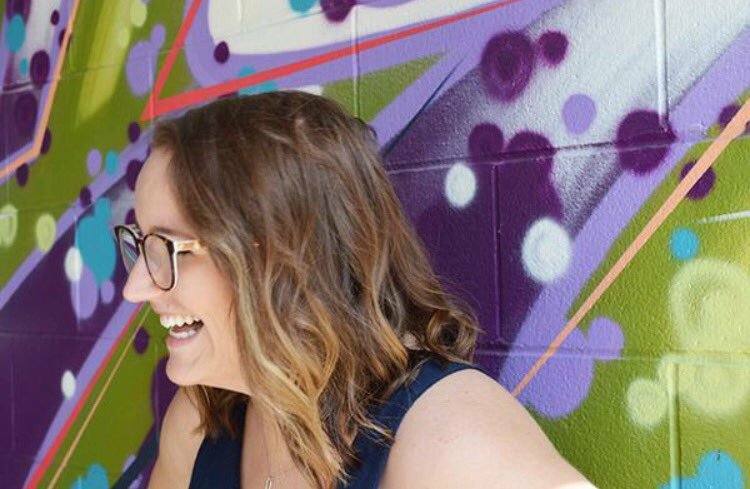 the Calgary Zoo set an all-time attendance record in May 2018, welcoming 190,067 visitors during the month. that means lines! if you’re an early bird, you can get beat the rush and get an early start with the Calgary Zoo’s Panda Breakfast. you’ll get to visit the pandas before the Zoo is officially open to the public, plus enjoy a delicious breakfast and learn why giant pandas are so important, why they sleep so much, and what specialized care is required to protect this majestic endangered animal. the pandas are in Calgary for five years, so get your visits in now! while you’re there, don’t forget to say hello all of your other favourite animals. i’d definitely suggest a visit over to the land of lemurs. have you visited the pandas yet?